Allu Arjun 19th Movie Pooja Ceremony For the third time, Stylish Star Bunny will be seen doing a film with director Trivikram Srinivas. The earlier two hit movies were Julai and ‘S/o Satyamurthy’. Pooja Hegde and Catherine Tresa have reportedly been approached to play the leading ladies. Suryakantham Pre Release Event Suryakantham is an upcoming Telugu film in which Niharika and Rahul Vijay play the lead roles in the film. The film is directed by Pranith Bramandapally and produced by Nirvana Cinemas. The film is releasing on March 29th. Indian Idol 10 is here. 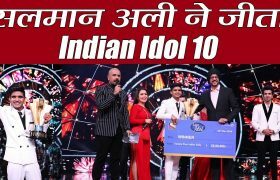 Salman Ali is the winner of Indian Idol 2018. He has defeated four contestants Nitin Kumar, Ankush Bharadwaj, Neelanjana Ray, and Vibhor Parashar. Shah Rukh Khan, Anushka Sharma and Katrina Kaif enjoyed the performances of the contestants. Amitabh Bachchan’s ‘KBC 9’ gets its FIRST Crorepati Anamika Majumdar Jamshedpur’s Anamika Majumdar has created history by becoming the first woman to win Rs 1 crore on KBC 9. The lady in KBC 9 has impressed all for making everyone proud with her sheer intelligence. Veteran actress Archana Puran Singh has replaced Navjot Singh Sidhu in ‘The Kapil Sharma Show’ for few weeks. According to the reports, when Siddhu will fit and fine, he will take over his throne. ‘Indian Film Festival of Melbourne 2017‘ event was held on August 11, 2017, at the Melbourne Recital Center. It was a star-studded gala event in which Bollywood’s who’s who participated enthralling the audience. In a Murali Krishna Encounter program, a senior politician and the former minister Daggubati Venkateswara Rao said there are many surprising facts pertaining to the political life of late NTR and added that some events took place to lower down the political position of late NTR. Chunwan, the world’s largest TV show is immensely popular in China. Dr YV Reddy is a former RBI Governor, who is considered as the dean of civil services in India. 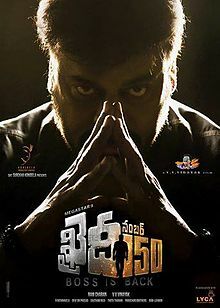 Khaidi No 150 is an upcoming Indian Telugu-language action drama film directed by V. V. Vinayak, and written by AR Murugadoss. The film features Chiranjeevi in a dual role,Kajal Agarwal in the lead role. Khaidi No 150 is releasing on Jan 11th. Watch the best property deals and housing projects from Chennai, Hyderabad and Bengaluru. Amitabh Bachchan promised to be back to the small screen next year to host Kaun Banega Crorepati. The film stars want to join politics to enjoy power under the garb of serving people. Former Chief Ministers like MGR, NTR and Jayalalithaa came to power only because of stardom. Still, film actors are not realising that politics and films are different.